On Friday 26 May, St Peter's Woodlands Grammar School did something very special. They held their very own Walk for Love. Every year, the student representative council choose a South Australian charity to support. Students, aged 5 to 13 years get to decide which charity. This year, they chose The Mary Potter Foundation. We could not have been more impressed or more humbled by this school community. 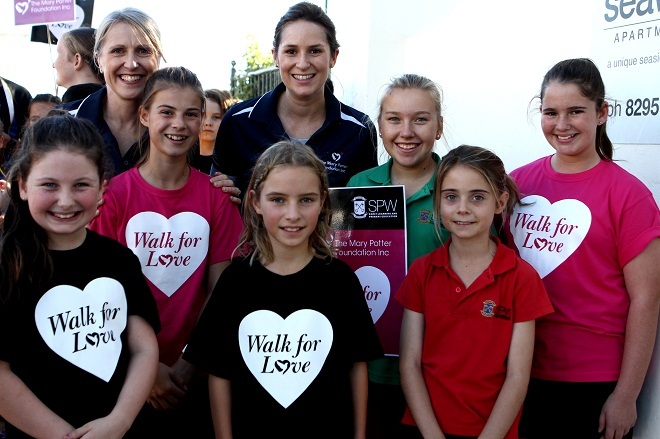 Students, parents and teachers worked together to organise a Walk for Love at school. 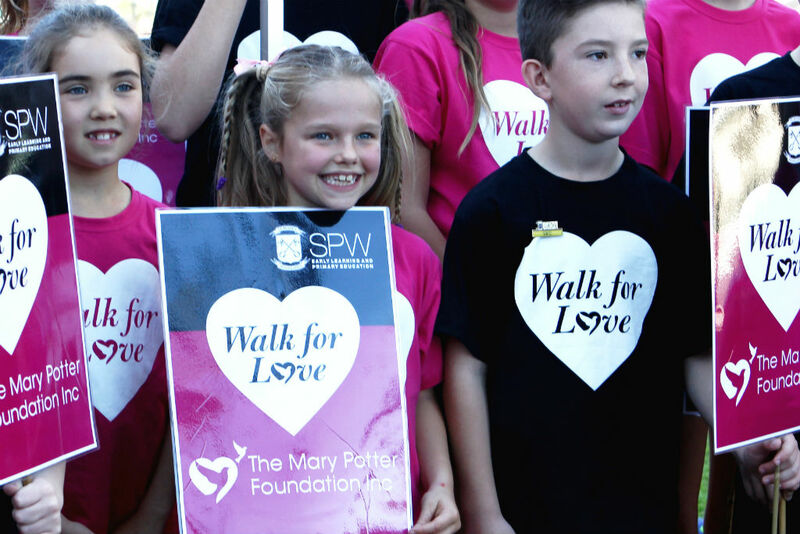 In the lead up to this event, Walk for Love t-shirts were designed and sold to begin the fundraising. Almost 400 t-shirts sold. On a Friday afternoon at the end of May, over 650 participants walked with pride. The sun was shining as they walked through the school gates, down to the foreshore at Glenelg and back again. It was incredible to see so many young students taking part in something so significant. Smiles were on the faces of so many children, parents and teachers and it was such a heartwarming thing to see. Handmade banners were waving showing their support for the Foundation. Children were proud to tell people they passed on the streets that they were walking to make a difference. The amazing efforts of the school community at St Peter's Woodlands raised $7,143 through t-shirt sales and donations. We are so grateful for this incredible contribution and we are inspired by their desire to support the Hospice. This wonderful initiative will make such a difference to patients and families experiencing the care of the Hospice. All the students, teachers and the entire community involved at St Peter's Woodlands should be very proud. We thank you and look forward to working with you throughout this year. St Peter’s Woodlands school choir will be performing at our Christmas carols event on Wednesday 6 December. If you would like to organise your own event to raise funds to support The Mary Potter Foundation please contact Jess at jessica.harford@marypotter.org.au or call 08 8239 0119. St Peter's Woddlands students with Cathy Murphy and Jess Harford from The Mary Potter Foundation. Students proudly carry handmade banners supporting the Foundation.